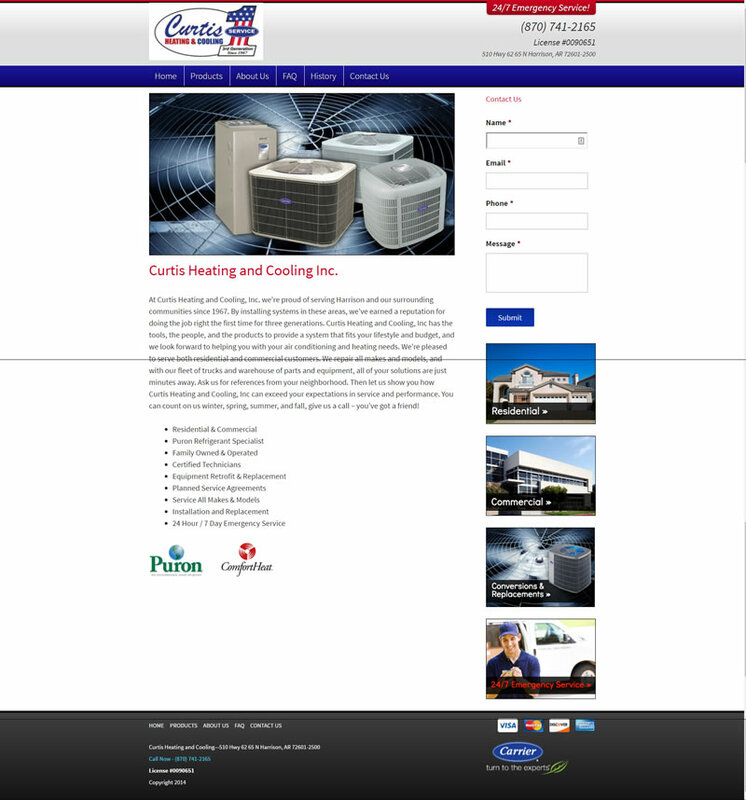 The Curtis Heating and Cooling website needed a new and mobile-friendly look. We expanded on their brand’s color scheme, added clear call-to-action buttons, and highlighted their services. The new website is easy to navigate and makes it simple for website visitors to find the information they need quickly. There is also an emergency number posted at the top of every page for quick reference. 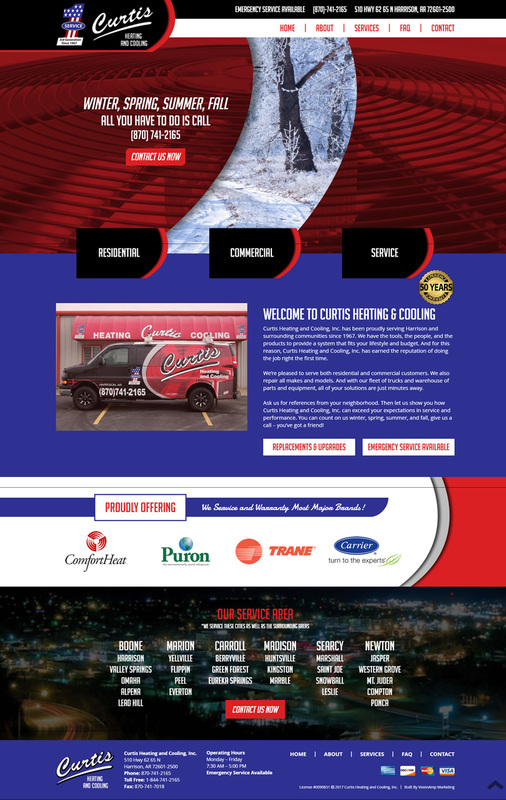 Curtis Heating and Cooling, Inc. has been serving Harrison and surrounding communities since 1967. They offer both residential and commercial services and products. And with a fleet of trucks and a warehouse of parts, they are able to offer repairs and solutions quickly.